Bitcoin online gaming site BitCasino.io has launched a brand new sportsbook to give bettors a chance to bet on the English Premier League (EPL), along with a wide variety of different games. We have reviewed the BitCasino.io Sportsbook that features more than 10,000 live betting markets every week, including the Mixed Martial Arts (MMA) and eSports. In our review we concluded that this site is one of the best places to bet on sports with bitcoins. Bitcasino.io also announced a promotion to celebrate the launch of its new sportsbook, the winners of which will receive a share of 20BTC or 20,000mBTC. The BitCasino.io spokesman says that the contest is open to new as well as existing players, challenging them to guess the team that scores the largest number of goals in the first weekend of the EPL. Bitcoin online gaming sites such as BitCasino.io are gaining popularity chiefly because the number of people getting interested in cryptocurrencies such as bitcoins is on the rise. The UK Gambling Commission (UKGC) has warned all operators of bitcoin online gaming sites that they need to adhere to gambling regulations. Jenny Williams, the chief executive officer of the UKGC, said: “The Commission neither prohibits nor encourages bitcoin—we are interested only in ensuring proper regulation of gambling products consumed in Britain.” BitCasino.io offers more than 750 games, all carrying jackpots worth over €10,000,000. The gaming site, which is powered by the CoinGaming.io bitcoin gaming platform offers the best games released by a wide range of providers such as BetSoft Gaming, Net Entertainment, Microgaming/Quickfire, Takisto, Gameart, Play N Go, Betgames, Ezugi, and Endorphina. The games are arranged in categories of table games, slots, live dealer games, lotto games, baccarat games, dice games, and progressives. 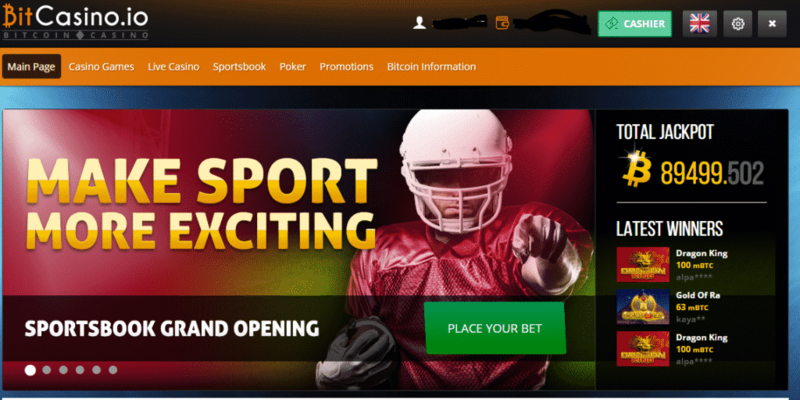 The bitcoin casino gaming and sports site, which welcomes new players with a 100% cash match bonus of up to 1 BTC on their first deposit amounts, is operated by Kopikas Enterprises. It has been licensed by the Government of Montenegro.